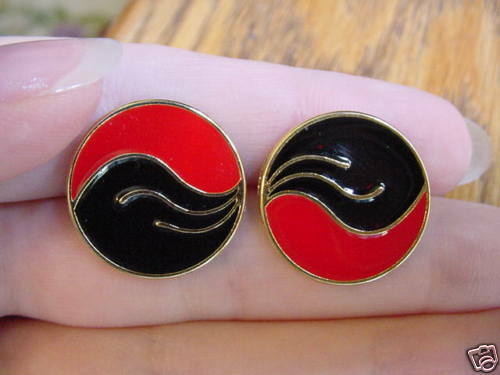 These were originally new buttons that Glenn and Heidi have re-designed into earrings! Excellent German metal buttons, porcelain, reproduction Victorian, etc. 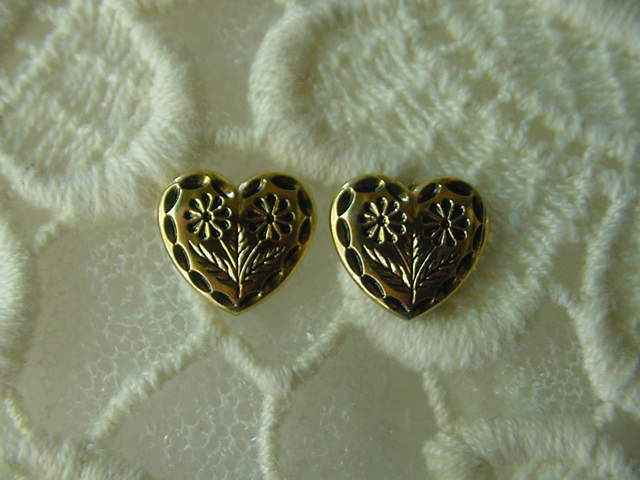 Earrings are post unless otherwise listed, and are hypoallergenic surgical steel and always refundable if you react to them. We haven't had a pair returned yet! 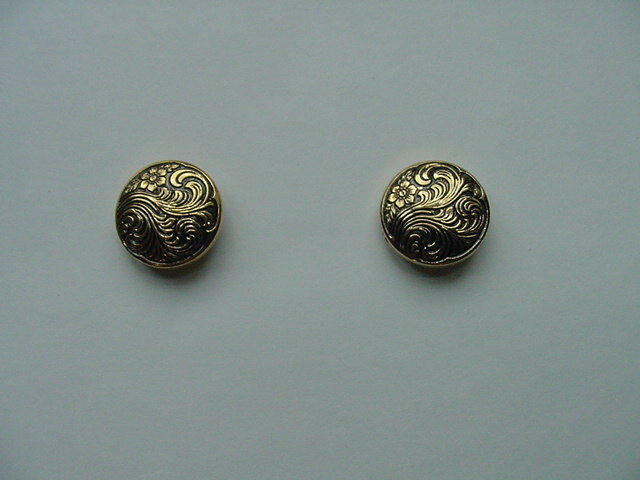 Gold synthetic swirl button earrings are 1/2" across. 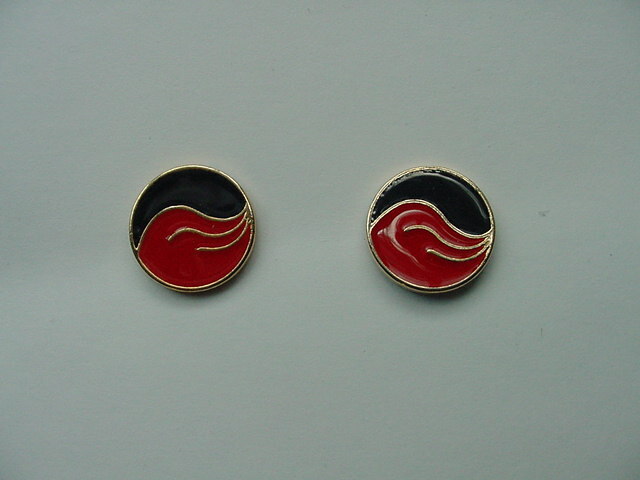 Black and red enamel half-and-half on metal, contemporary style earrings are 1/2" across. 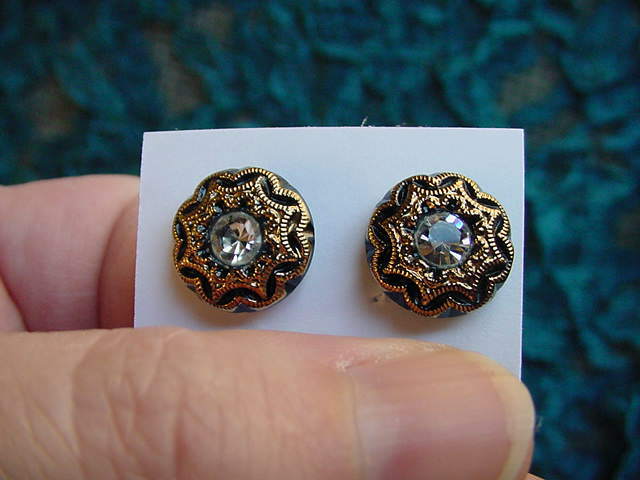 Iridescent taupe synthetic with gold tone filigree, 5/8" across. 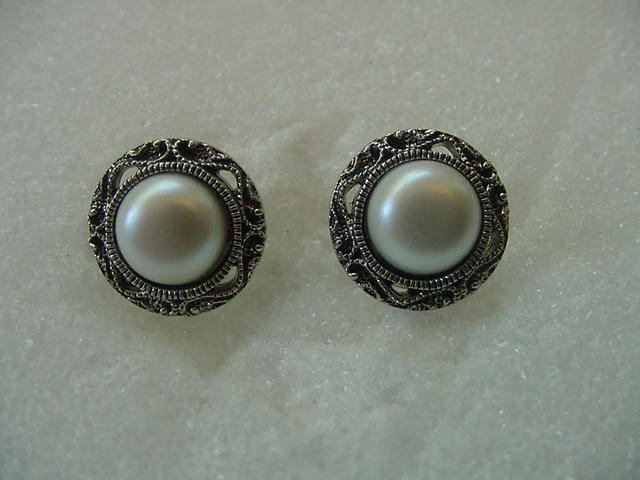 Reproduction Victorian pearl/filigree, plastic, 1/2" across. Contemporary silver synthetic spatter earrings are 5/8" across. 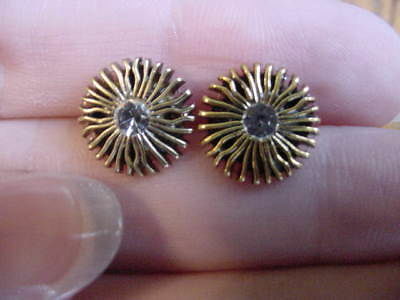 Classy detail on this gold synthetic button earring that's 1/2" across. Concave dark denim blue with gold design, 1/2". 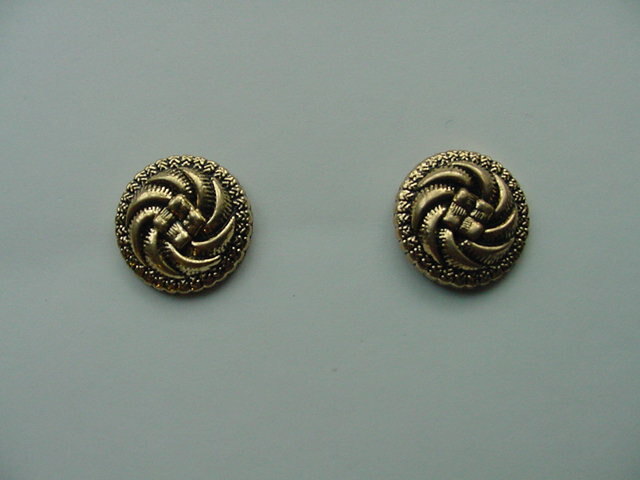 Synthetic coat of arms gold tone button earrings are 1/2" across. Synthetic pearl with gold tone star design surrounding the pearl, nice earrings! 1/2" across. Synthetic gold tone spatter design, small 1/4" across. 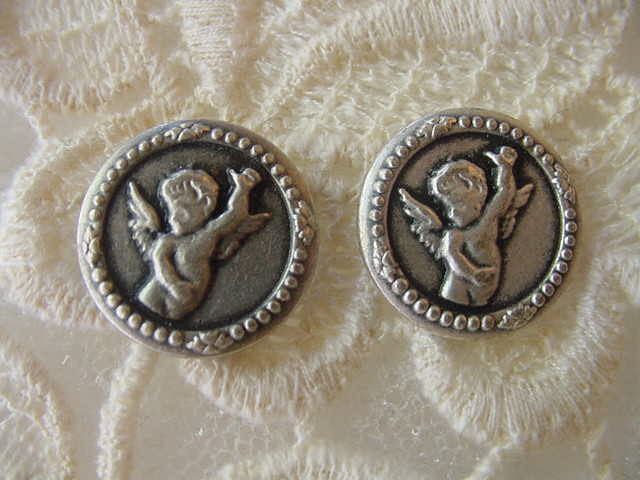 Two doves and heart, silver metal button earrings are 5/8" across, excellent choice! 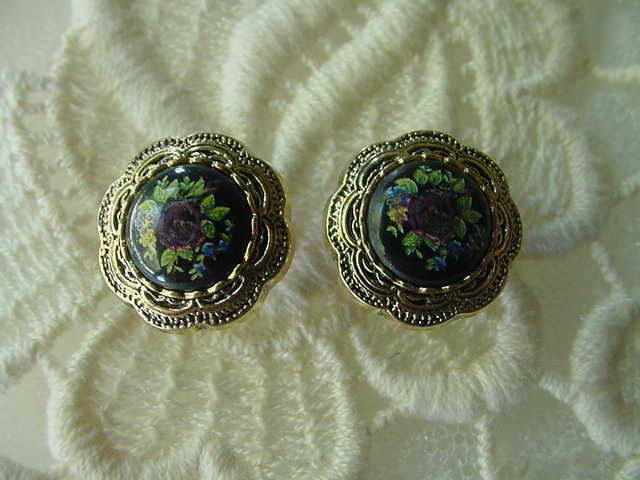 Contemporary geometric design of black glass button earrings with gold inset, they are 1/2" across.